Pay with Google: The Google is making good on its May promise to ease the purchasing process on Android devices with the launch of Pay with Google. “Pay with Google” is a new program which integrates with apps and websites in Chrome to make checking out a lot more simple. Instead of inputting your card information for every new service, simply add it to Google and select “Pay with Google” at checkout. 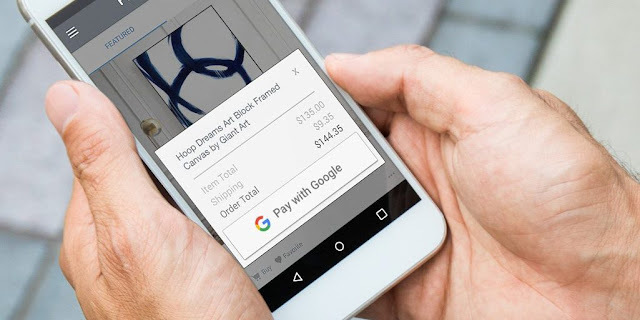 The Google Payment API that enables the improved checkout process was rolled out to developers worldwide at Google I/O in May. Google says it doesn’t charge any transaction fee for its use and requires “only a few lines of code” to implement. In other words, let’s get crackin’ you lazy devs because we’re in a hurry to part with our money.